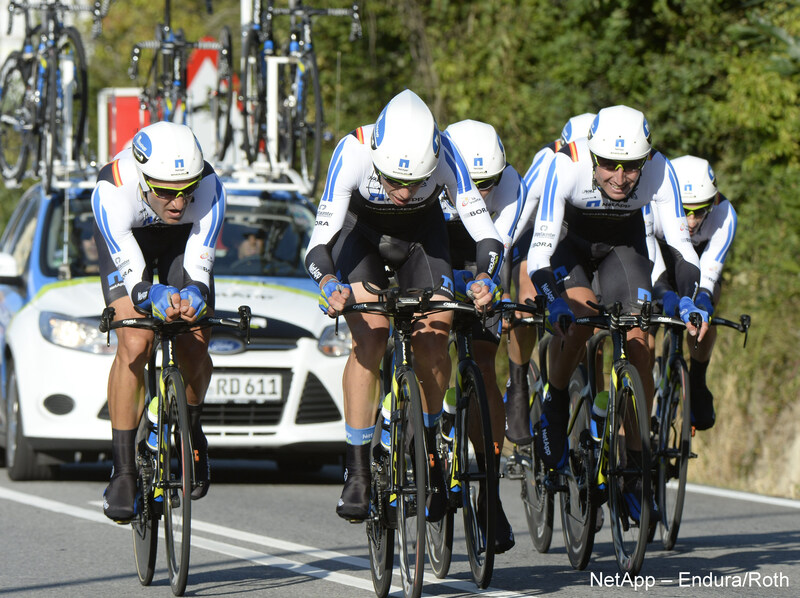 In the first two days of the Tour of Spain, NetApp-Endura was the most active wild card team. After a 7th place in the Saturday’s team time trial, NetApp-Endura was very close on a victory in the second stage, when the peloton reached the summit of the Alto Do Monte Da Groba, a first category climb. Leopold König attacked on the last part of the climb, was joined by others three riders, and in the end finished in the 4th position. Despite losing the stage, NetApp-Endura promises to go on the attack with every occasion it will have, as Mister Ralph Denk, the manager of the team, underlined in this exclusive interview for Cafe Roubaix. – Mister Denk, what means for NetApp-Endura the Vuelta wild card? Our second wildcard in two years is first of all very important for the development of the team, respectively the riders. Further of course it is also important for the sponsors. They receive a guaranteed three-week brand exposure. – You have many climbers in the team. Will your objective be a good GC or a stage win? We will try to have good results on every stage. If we get a stage win, which of course should be everyone’s goal, we will be very happy. Currently we are not looking at the GC. We will see how it goes after the first week. Also, we will not be concentrating from the start on a certain jersey. We have to see as the race goes on if we can do that. – How much will it weight the fact that many of your riders will be at the debut in a Grand Tour? We will find out when we arrive in Madrid. The riders are more than motivated and I hope that this will compensate their inexperience and they will all finish in Madrid. – From which of your riders do you have big expectations, who can surprise us all? My expectations are lying on the whole team. For us it is not important who secures the win, since it will always be a team’s effort. – What’s your opinion on the parcours of the race? The course is tough as usual, but we also ride through the most beautiful parts of Spain. I think it is a great platform for Spain to present itself. – How are things looking for next season? What I can say now is that all the riders currently participating in the Vuelta have contracts for 2014, which is good. Anyway, in 2014 we will remain a Pro Continental team, but of course it is still our goal to go World Tour one day.